We specialize in combining creative techniques, with natural healing therapies from head to toe. Trained in the Art of World Class customer service by Owner Paula Sadler for your whole body and being. We tailor each service to fit your lifestyle and needs. Our goal is to be #1 in customer service. We treat you like modern day royalty! Read Client Reviews and Testimonials Below. Add Your own Review of your technician! A Harmony Nail Spa practices national guidelines for safety and sanitation and follows all local and state laws for beauty salon and day spa sanitation. Our staff is trained on infection control. Stainless steel foot basis, with the use of hospital level disinfectants. New files used with each client. 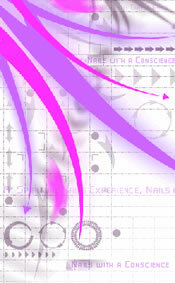 A Harmony Nail Spa values the relationship between the employee and the employer. We employ hourly staff as well as contract out services to independant contractors. We strive to offer the best in compensation that we can offer in an uplifiting environment. We offer ongoing education, and encourage growth in all ways. We release and say goodbye to all former staff. We say thank you for all that you have done, the lessons you have taught us, those that were most challangeing we are grateful for. For those that were not as challanging we are grateful for. We bless you and release you to your highest good. We hold you in the light of success and prosperity wherever the current of life takes you, and if by some way you find your way to our doorsteps we wish you blessings and light and you are welcome as we say thank you and good luck. We hope and wish for you the very best life has to offer and to live your dreams, we hope that you have gained something useful and learned more and grown, as we have by being blessed by your company wether for a reason, a season or a lifetime. Many Blessings.